What is the point of having Fort Knox like security for your organization when cyber criminals have the keys to your network using compromised credentials. Unfortunately, between email, social media accounts, banking, utilities, productivity tools, online shopping and IOT devices most people have a lot of places they need to log in. Studies show that on average an e-mail is associated with 130 accounts that require a password and it is humanly impossible to remember so many of them. Key findings indicate that password reuse across different applications is frequent, and that most users rarely change passwords. Studies have found that more than 80% of people reuse passwords. Cyberattacks and data breaches are becoming a fact of life for government agencies, businesses and individuals alike in today’s digitized and networked world. The point to be noted is that 81% of data breaches leverage a stolen or weak password. While there are legitimate purposes to the Dark Web, it is estimated that over 50% of all sites on the Dark Web are used for criminal activities, including the disclosure and sale of digital credentials. Far too often, companies that have had their credentials compromised and sold on the Dark Web don’t know it until they have been informed by law enforcement — but by then, it’s too late. Digital credentials such as usernames and passwords connect you and your employees to critical business applications, as well as online services. Unfortunately, criminals know this — and that’s why digital credentials are among the most valuable assets found on the Dark Web. To keep your digital assets protected you need visibility and the threat intelligence to stay ahead of the cyber criminals. 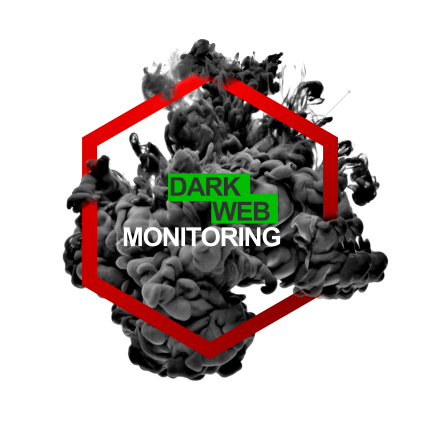 Our Web Monitoring service combines human and sophisticated Dark Web intelligence with search capabilities to identify, analyze and proactively monitor for your organization’s compromised or stolen employee and customer data. We searches the most secretive corners of the Internet to find compromised credentials and information associated with your company, contractors and other personnel, and notify you immediately when these critical assets are compromised, before they are used for identity theft, data breaches or other crimes. Monitors your supply chain, third-party partners and vendors to understand the potential risk they pose to your organization. How does Idealstor Dark Web ID help protect my organization? peer networks, forums, private networks, and other black-market sites 24/7, 365 days a year to identify stolen credentials and other personally identifiable information (PII). monitor over 500 distinct Internet relay chatroom (IRC) channels, 600,000 private Websites, 600 twitter feeds, and execute 10,000 refined queries daily. Data source locations & descriptions: Where do we find data? C2 Server/Malware: compromised data harvested through botnets or on a command and control (C2) server. Identified method used to capture/steal data: How was the data stolen or compromised? Password Criteria is designed to allow you or your clients to identify what their on-network password criteria is in order to put a higher alert status on credential exposures that may meet these criteria. It allows you to enter minimum lengths, number of letters, numbers, special characters and capital letters. available on multiple 3rd party websites. engineering and/or phishing attacks. Often, the identification of fake email accounts indicates that an organization has been targeted by individuals or groups in the past. Employees often recycle passwords throughout their work and personal networks. If your internal requirement is to have a capital letter and special character, it’s common practice for employees to use a password they are familiar with, and add a capital letter and exclamation mark. (Example: Exposed Password: cowboys, Variation: Cowboys!, Cowboys1, Cowboys!1, and so on.) Knowing this, hackers will run scripts using metasploit frameworks (hacking and pentesting tools) to “brute force” their way into an unsuspecting system. Can I track personal email accounts for compromises? We allow for up to 5 personal email addresses per organization to be tracked, in addition to all emails on the company domain. Is it safe to say Cloud storage is a serious concern for data breach? With most of our software tools moving to Cloud hosting, does this create more risk for my company’s IP?